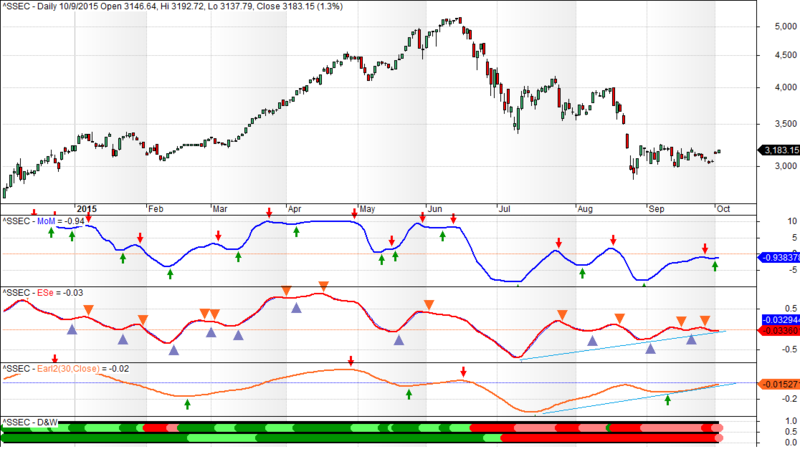 We have a nice double bottom in place and the market is clearly in search of new post-crash highs. All my indicators are climbing, but the Earl and MoM are getting quite high now. 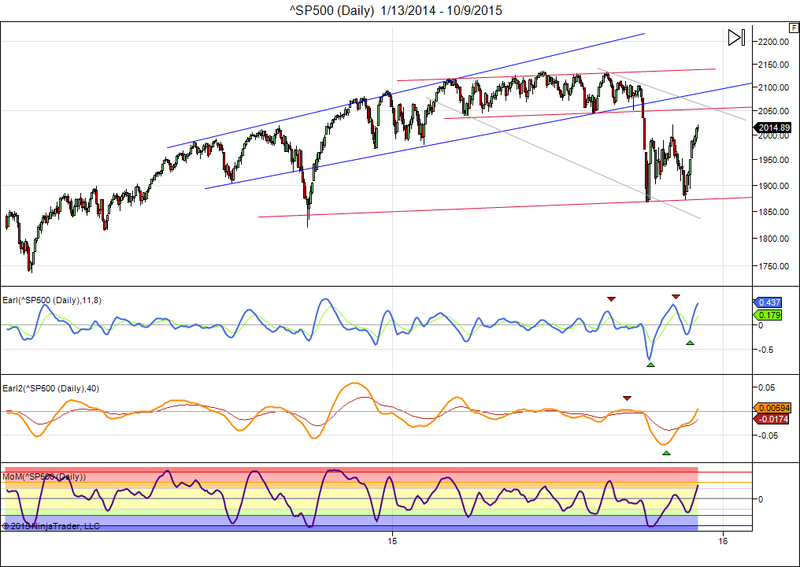 So, I think the market will start sputtering if it reaches 2050, which is major overhead resistance. 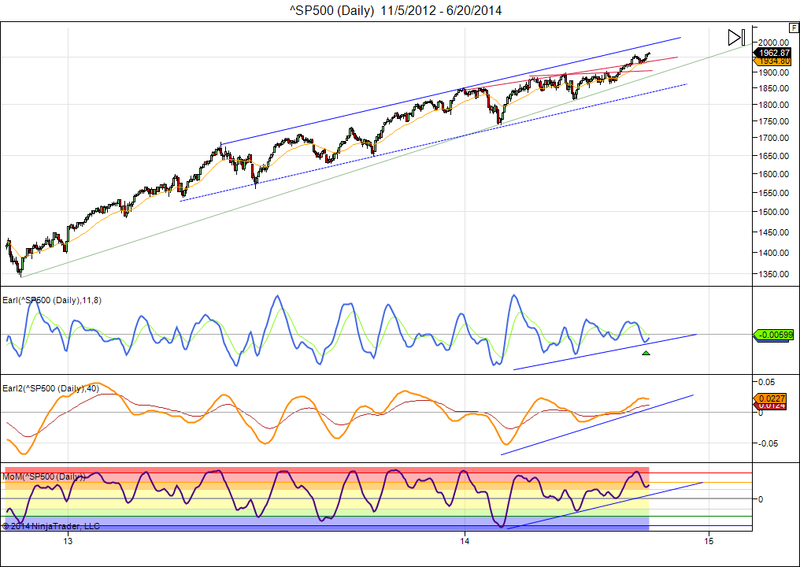 It would surprise me if the S&P bursts through 2050 without a noticeable pullback. Investors who bought in the 6 months prior to the August drops did so at 2050 or higher and many of them may be waiting to get out near breakeven after being shocked by the recent declines. All that selling will have to be absorbed before the market can go higher, and that will take time imo. I don’t think we will see a sharp drop if 2050 is reached, but rather the start of a sideways pause that allows the market to catch its breath. 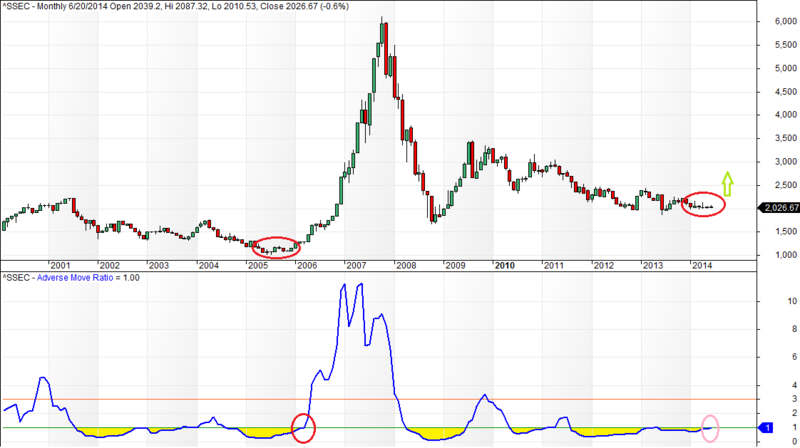 The Shanghai Composite has bottomed with major bullish divergences in Earl2 and ESe. Weekly MoM has turned up for the first time since the crash started. This sets the stage for a new climb towards 4000+.